The new Master Touch Charcoal Grill is not just a grill, it's equipped with Weber's exclusive expandable gourmet barbeque system! It features a lid holder, a built-in thermometer and a hinged cooking grate. 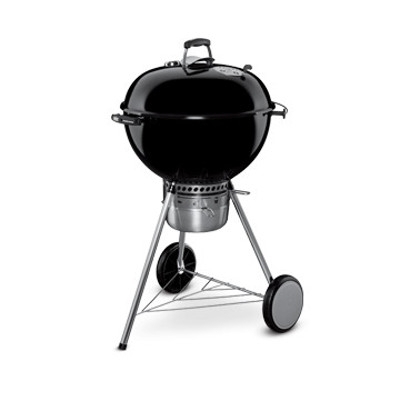 This Master Touch Grill also comes with a tool hook handle for easy & convenient storage of your grilling accessories. The Master Touch Kettle Grill comes with two charcoal basket holders and also includes a warming rack for ample cooking area on the grill. Pick one up today from Cofer's Home & Garden and get grilling!